Slashed Beauty: Miranda shares how to do an easy vampire makeup look for Halloween this year! 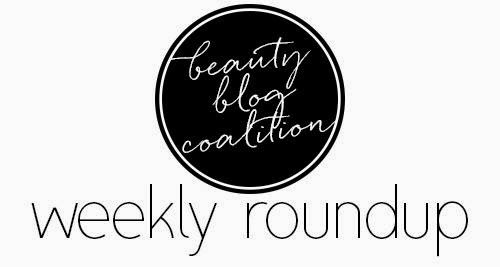 Lola's Secret Beauty Blog: The Love List and The Lust List from The Organic Pharmacy Skincare! TheFabZilla: Have you tried anything from Gucci Beauty yet? Check out Part 1 of my haul and see if Gucci Eye Magnetic Color Quad in Autumn Fire is for you! Painted Ladies: Sheila has fallen hard for the Cover FX foundation line - find out what makes these vitamin-packed products so great. beautyXposé: Fall and nail polish are two of Kristin’s favorite things. So let’s find out what her favorite Fall nail polishes are. Color Me So Crazy: Have you seen Kohl's Exclusive Billion Dollar Brows Best Sellers Kit? Check it out! Never Say Die Beauty: Keep your summer tan or get ready for the holidays with Gleam Radiant Dust by Melanie Mills. BeautyTidbits: Need a little inspiration for your spooky Halloween manicure? Check out some of the cutest and creepiest nail art looks to get you in the Halloween spirit!